The new digital distribution rights holder, Night Dive Studios, was able to get hold of System Shock 2 last year. "Negotiations began in October of last year," says Stephen Kick of Night Dive, the new holder of the System Shock 2 digital distribution rights. "I pitched the rights-holder with the focus being on the digital distribution of System Shock 2 and - as much to my surprise as anyone's, possibly - here we are today." If you're wondering where here is, it's GOG, which confirms the rumor circulating only a short while ago, that the classic games distributor might be about to get its mitts on BioShock's progenitor. The acquisition was all the more daunting because nobody was entirely clear who held what any more, though it seemed feasable that Meadowbrook Insurance Group, of all unlikely companies, had inherited the rights from defunct Looking Glass. It took time to find out what had really happened; time, and a lot of legwork. "You know the drill: one step forward, two steps back," said GOG's Guillaume Rambourg. "It was a real investigation a la Tex Murphy. A very tough case, definitely, but we never lost hope." Then along came Kick who, inspired by his love of System Shock 2, had been doing some digging of his own, and had been more successful. "I even contacted members of the original development team to get their side of the story," said Kick, describing his part in the investigation. "What I discovered was a mystery that needed to be solved." System Shock 2 is Night Dive's only product, at the moment, though it is working on its own IP. "We are a team comprised of veteran developers with a passion for gaming," says Kick, "and we hope you'll enjoy what we have in store." So what are you likely to get from GOG? "With the help of Stephen, we've pulled out all of the stops to make this a virtual collector's edition," says Rambourg . "In addition to the soundtrack, the GOG.com version of the game will have concept art, maps of the Von Braun, a interview with Ken Levine, the first pitch document, and much more." 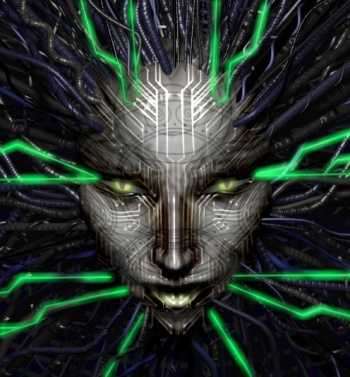 System Shock 2 will be available from 11 am GMT onwards, February 14th. The price tag is a mere $9.99.